Ever since I was 13 years old I’ve been doing different stuff to earn money. 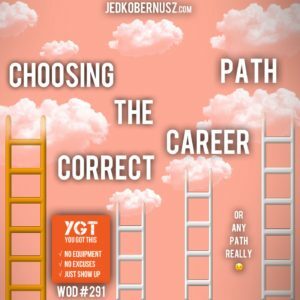 Choosing the correct career path isn’t that easy for most people. This mindset coaching article will provide some insight on which path to choose. It doesn’t matter what age you are for choosing the correct career path. Because a career is a lifelong journey it is as simple as that. Try different things and find out what you like to do. Above all, find out what you don’t like so you know what not to waste your time and energy on. Too many people spend a lifetime doing things they hate because it’s the “right” thing to do. Yes, practicality is in play, but if you’re not happy for most of your day, are you living your life or are you surviving in it? My intuition tells me neither. When you are at your truest self no matter what happens fear won’t take over. That’s what happens when people stay within the life they hate. No one wins with that mindset. You’ll never make the money, get the girl/guy, and/or move to the place you want to. There are more situations, but that’s what I hear most about from my clients. Your career path doesn’t define who you are. It’s simply a record of what you’ve experienced. From an early age, I knew I didn’t want the traditional McDonalds route. I’m not bagging on that route, it’s a great entry point into the workforce. I just knew I couldn’t concentrate long enough to take someone’s order. Meanwhile, I didn't know a flathead screwdriver for a Phillips head screwdriver. Therefore I had no business working at a camper dealership either, but I didn't let not knowing “how to” me stop then and I don't let it stop me to this day either. Humility has gotten me the furthest. Cleaning tanning beds in college for beer money is a great example of that. Finding ways to get paid for doing the least become a priority in college too. Little did I know a person could actually have fun and get paid for it. Taking care of people with developmental disabilities was that job. I find people fascinating and I found out that I’m good at making people feel comfortable. As a result of that strength, I doubled down and started the 365 WOD Journey and the Battle WODs Program. It’s all about forgetting about your weaknesses and focusing on your strengths. Meanwhile trying new things at the same time. If you’re not good at something and know deep down that working at it is a waste of time, then follow that feeling and end what you’re doing. Start something new. If you’re 16 or 60, it doesn’t matter. Start. It’s as simple as that. Stop overthinking and start doing because if you don't you're letting fear win. Being afraid of making the wrong decision or choosing the correct career path is a mistake. That could lead to the worst poison of all: Regret. So while you’re doing your WOD think about how happy you are. If you’re not happy then it’s to change it up. If you’re happy about what you’re doing then keep going. I wish all the happiness in the world for you. 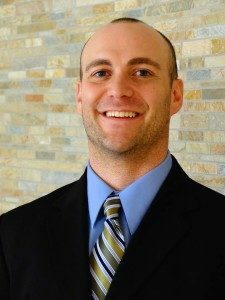 PSS: If you found this WOD and mindset coaching article about choosing the correct career path, provided value, consider giving an At-Will Offering. Because then I can keep helping. Go Here To Give. Thank you for your time, attention and generosity.